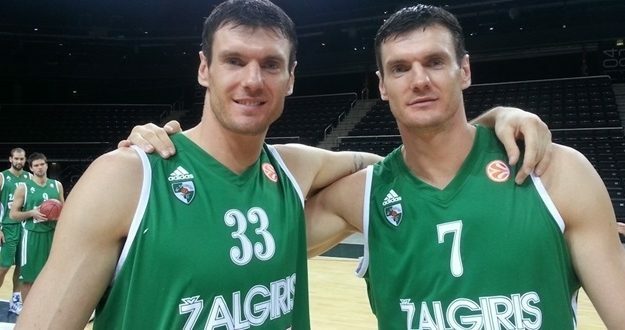 The most famous twins of European basketball are going to join their forces in the same team once again. According to BasketNews.lt, Ksistof and Darjus Lavrinovic have signed a contract for the upcoming season with Lithuanian club Lietkabelis. Ksistof last played for Lietuvos Rytas, averaging 13.8 points, 3.8 rebounds and 15.7 index rating in 10 Eurocup games of the 2015/2016 season. Meanwhile, his brother Darjus spent the previous two years of his career in Italian Reggio Emilia During his last season’s Eurocup venture, he recorded 10.9 points, 3 rebounds and 1.5 assists per game. The 36-year old big guys had offers from other Lithuanian teams as well but will continue their career in Lietkabelis, having the opportunity to keep playing at a competitive competition like Eurocup.